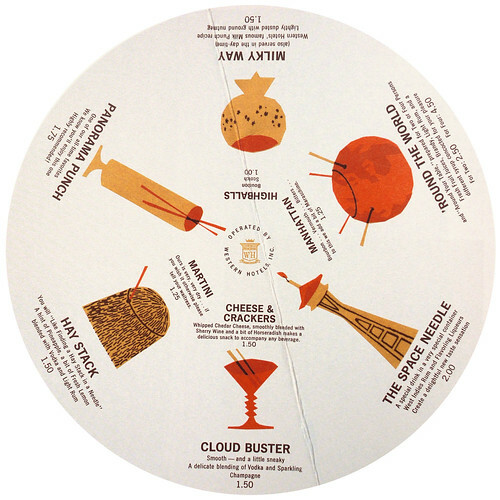 There is something very satisfying about a menu. Whether it be the cutout of a pig just before delving into a pulled pork sandwich or a space age diner preparing you for some interstellar fry-up. It all revolves around one of life’s greatest joys; eating. Or more precisely, the moment just before the eating; the choosing. Does design matter? Probably. Does variety matter? Definitely. But there is also something else that drives someone to collect a specific kind of menu; it might be described as an obsessive need to categorise and order – by cuisine, geography or restaurant type. 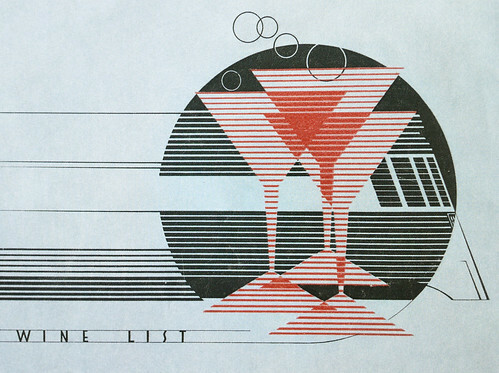 The array of menus presented in Menu Design in America were collected, as editor Jim Heimann writes in the foreword, ‘for their exquisite design and historical importance’. 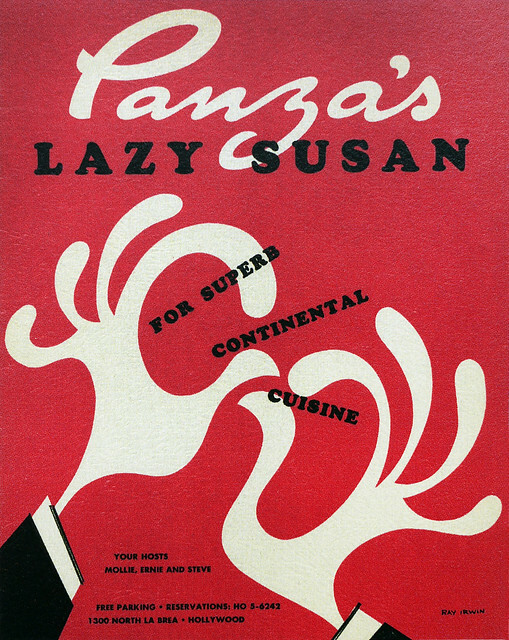 Together with an introduction by Steven Heller, the collection includes captions by culinary historian John Mariani. 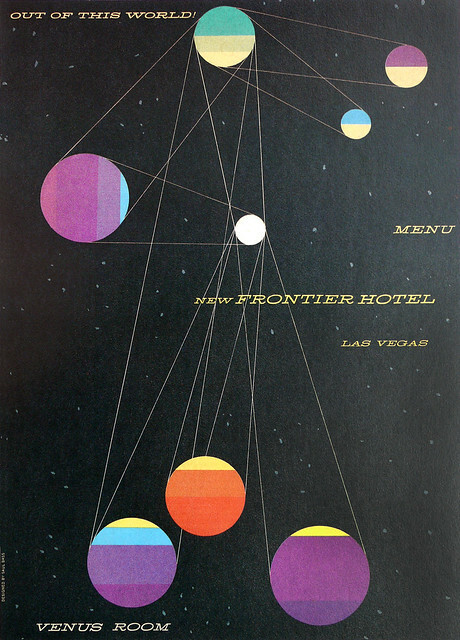 The work is divided into many genres, including ‘Feminine Mystique’, ‘The Exotic West’, ‘Space-Age Modern’, ‘Tiki Restaurants’ and there are spreads for the Poodle Dog Restaurant in San Francisco and Catalina off the coast of California, which Dorothy and Otis Shepard art directed for William Wrigley (see ‘The first couple of American billboards’ in Eye 89). 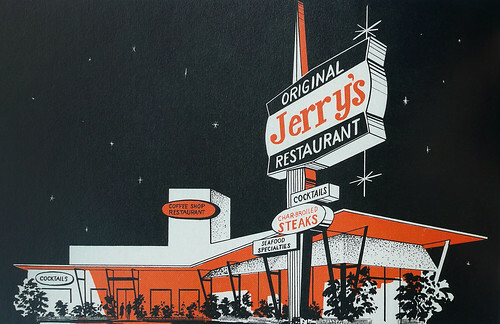 Original Jerry’s Restaurant, ca. 1957, ‘Space-Age Modern’. 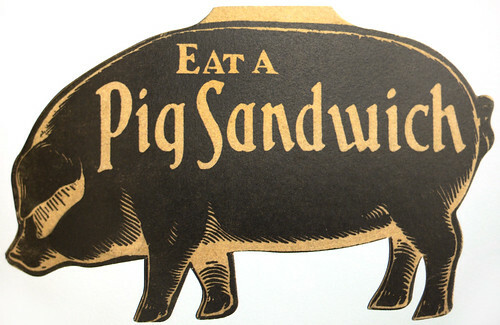 Top: cover of menu for Pig Stand, Los Angeles, California, ca. 1934. From a section entitled ‘Roadside Dining’. The Eye of the Needle, Seattle World’s Fair ca. 1962, Seattle, Washington. Venus Room, New Frontier Hotel, ca. 1956, Las Vegas, Nevada. 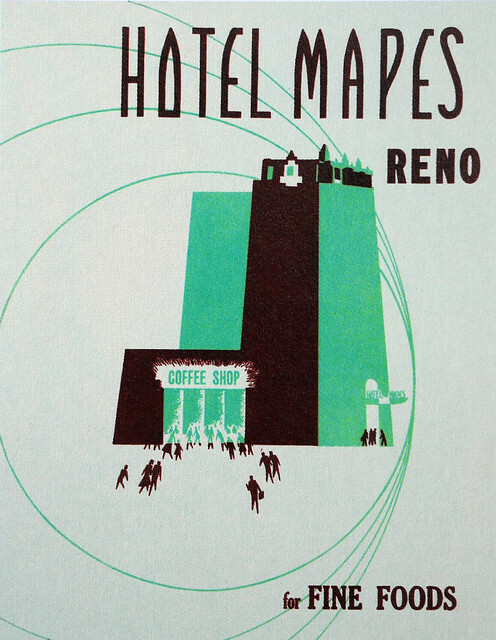 Hotel Mapes, 1955, Reno, Nevada. Panza’s Lazy Susan, ca. 1952, Hollywood, California. 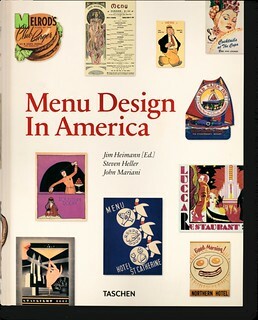 Menu Design in America (Taschen, 2011). Edited by Jim Heimann, with captions by John Mariani and an introduction by Steven Heller. 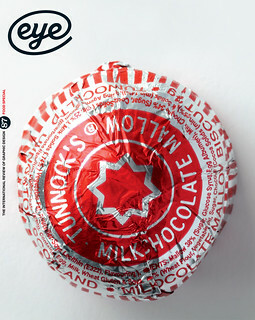 For more about ‘Design for eating’, see Eye 87, the food design special issue.